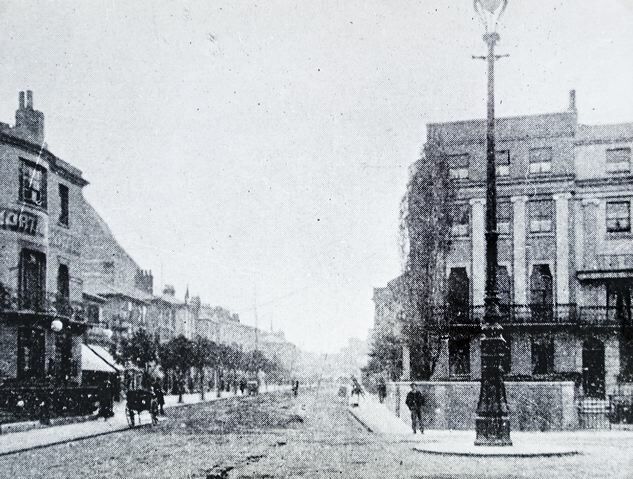 This photograph, from St Peter’s Place, was reproduced from an early Guide Book – period about 1905. A year of two earlier, 1903, London Road has been widened following the clearance of front gardens on the west side and the line of trees had been planted. The Northern Hotel, seen on the left, was rebuilt and set back in 1906, while Cheapside was widened when Woolworths built their store on the opposite corner in 1928.